Fitfully watching these birds as I approached a writing deadline last month I was continually distracted by the thought that they looked a good deal better equipped for writing than me. The birds have certain ways of being that I think would lend themselves to the practice of writing. Ways of organizing ideas, putting sounds together, getting priorities in order. I’d like to learn about writing from these birds. I don’t know how to begin. So I’ve been trying to approach the birds via the smoother detours of other non-writing practices: human practices rather than avian ones, but physical, material, manual practices distinct from writing by their direct interaction with the physical properties of the world. 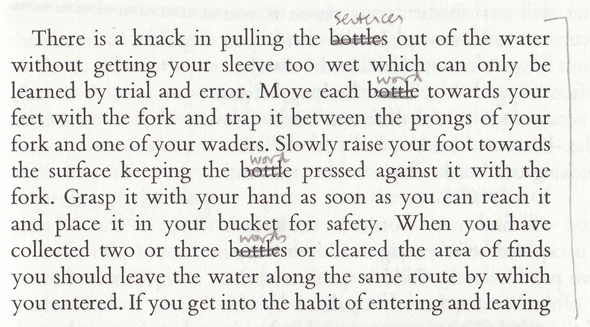 Writing like bottle collecting. 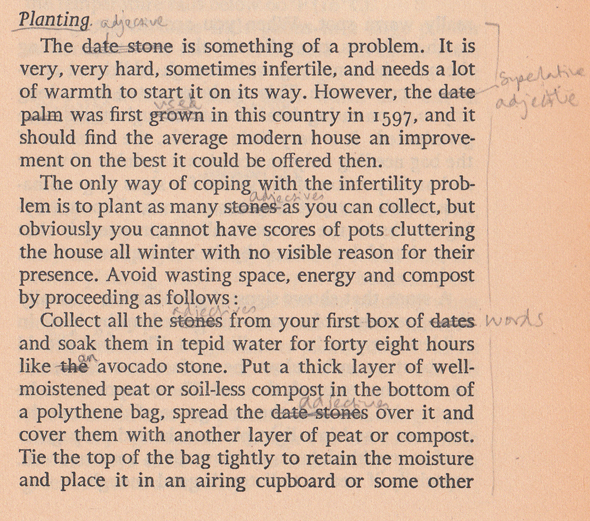 Writing like potholing. 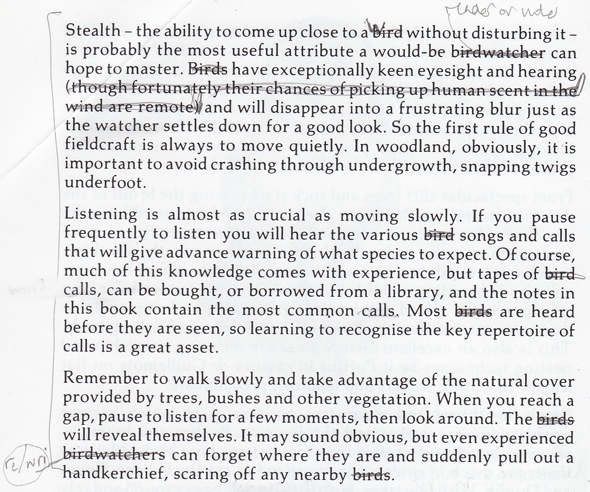 Writing like ornithology. Writing like repairing drains. On Friday night at The Pigeon Wing I read a few extracts from books on topics like these, manhandled into instructions for writing. A couple of examples are below. Over the coming month I’m writing at The Pigeon Wing as part of the WRITING/EXHIBITION/PUBLICATION programme, and I hope to put some of these instructions into practice while I’m there.